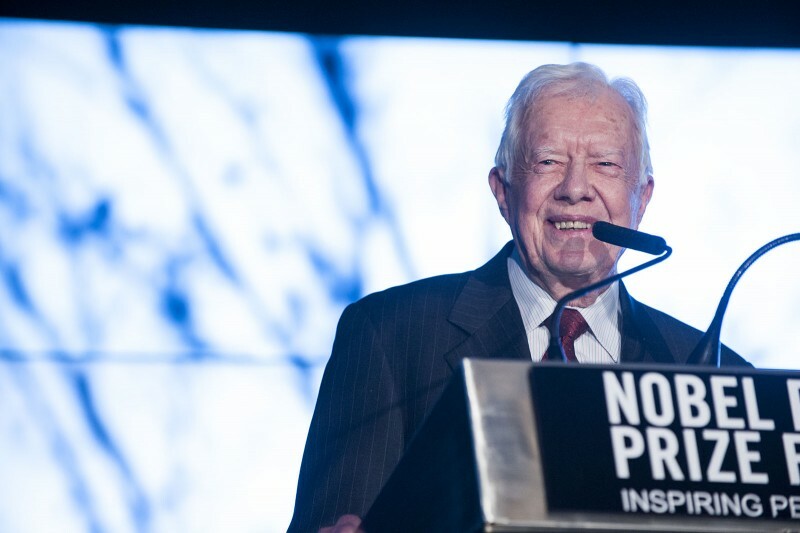 The Nobel Peace Prize Forum garnered a range of media coverage before and after the event. Some of the coverage is documented below. U.S. President Jimmy Carter, an honored Nobel Peace Prize Laureate, spoke at the Nobel Peace Prize Forum on March 6. Rev. 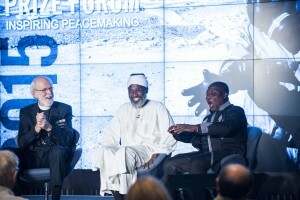 Mark Hanson, left, moderates a panel at the Nobel Peace Prize Forum with Imam Muhammad Ashafa and Pastor James Wuye. Join the Nobel Peace Prize Forum #peaceitforward campaign to tell the world how you build peace. You’ll become part of an international video and social media campaign in partnership with the internationally renowned Robert Fogarty of DearWorld.me, a portrait project that unites people through pictures, to raise awareness and grow involvement in peacemaking. 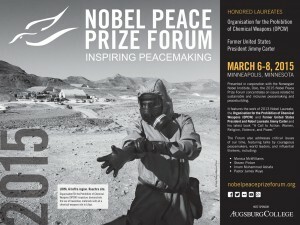 In addition the video will be shown to an international audience at the Nobel Peace Prize Forum being held from March 6-8 in Minneapolis. To become part of the campaign, simply stop by Augsburg College to have your photo taken. Be ready to answer the question of how you build peace and how you make a difference. Maybe you serve meals to the hungry, mentor children or serve on a nonprofit community board. Perhaps you work as part of a restorative justice program, are in a Rotary group that conducts projects across the globe, or help out an elderly neighbor. 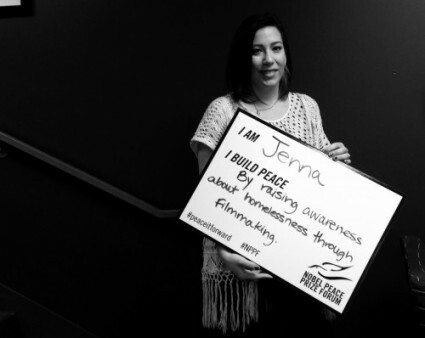 Peace building takes on many forms, small and large, and we want to capture what you do that makes a difference in your community, your state, our world. A photographer will take a professional-quality, digital photo and a photo with your cell phone that you can post to social media. It’s your chance to tell the world why peace matters. Dr. Deane Marchbein, the president of the board of Doctors Without Borders (Medicins Sans Frontieres), spoke prior to her keynote speech at the 26th Annual Nobel Peace Prize Forum with Tom Crann of MPR‘s All Things Considered. Marchbein, a medical doctor based out of Boston, talked of the work of the organization to deliver direct medical support to persons in need. Read an overview of the interview here.